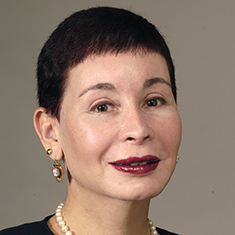 Designers, apparel manufacturers and other clothing businesses seek out Karen Artz Ash, national co-chair of Katten's Intellectual Property department and co-head of the Trademarks and Trademark Litigation practice, because of her experience in all aspects of intellectual property, trademarks and copyrights. In trademark law, clients note that Karen "is one of the best in the business" (U.S. News – Best Lawyers® "Best Law Firms"). She is member of the firm's Board of Directors and also serves as chair of the national Pro Bono Committee. She has worked in fashion law for more than 25 years. Karen handles the structuring and administration of intellectual property, including establishing holding companies and trusts, and the creation, development, implementation and administration of licensing, servicing and manufacturing for companies worldwide. She helps apparel clients in acquisition and disposition of major designer properties and businesses and represents clients in securitizations, financings and joint ventures. She handles intellectual property due diligence in all types of complex corporate transactions and is skilled in bankruptcy assessments and financings that are dependent upon intellectual property assets. In addition to fashion, Karen represents clients in the publishing, banking, financial services and consumer electronics industries. She is a monthly columnist for Managing Intellectual Property magazine, contributing writer for The Licensing Journal and regular sponsor and participant in events hosted by Women's Wear Daily. She is also a contributing writer to Becoming a Fashion Designer (Wiley, 2013) and a contributing author to Fashion Law (Bloomsbury, 2013). Karen is an adjunct professor at New York Law School, focusing on courses in fashion law licensing, and is a mediator in the Southern District of New York, where she serves on the Mediation Advisory Committee. She also is a mediator for the Second Circuit Court of Appeals in the CAMP Mediation Program. Shown below is a selection of Karen Artz’s engagements. Katten Attorneys Meredith Martin Addy, Karen Artz Ash and Kristin Achterhof Named to Managing Intellectual Property's "IP Stars - Top 250 Women in IP"
Katten Attorneys Karen Artz Ash and Kristin Achterhof Named to Managing Intellectual Property's "IP Stars - Top 250 Women in IP"